Last week as we headed to the library for our regular book choosing we noticed things were a little different. We'd clearly arrived in the chaos of an event being set up. 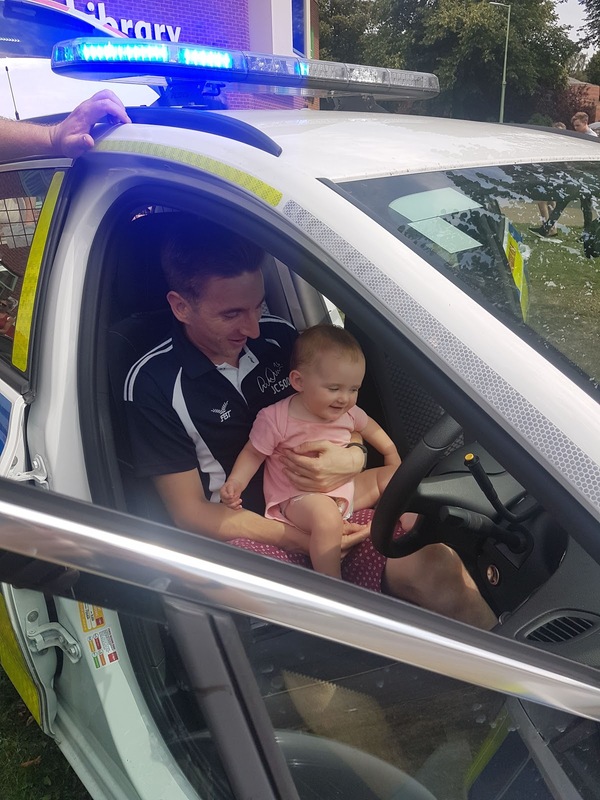 We spoke to a lovely memebr of staff who informed us that the library was hosting a safety day where lots of local organisations would be helping raise awareness of safety issues such as the correct installation of car seats and highlighting the work of the emergency services. 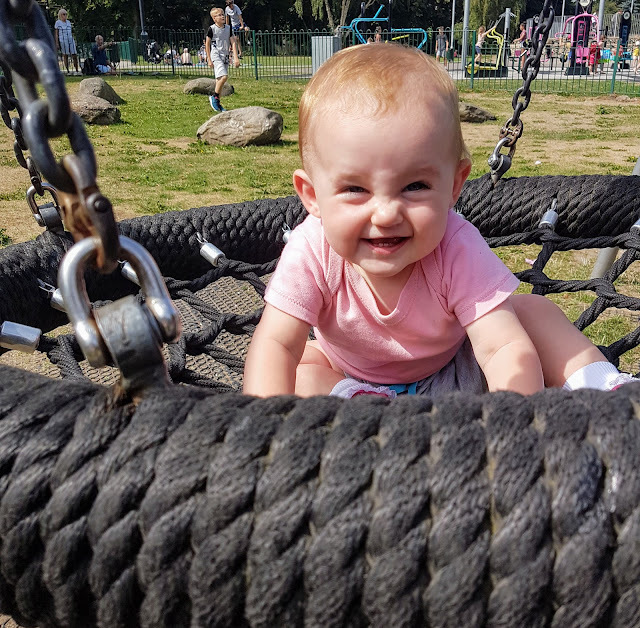 It sounded like a fun, educational event so we nipped to the nearby park for a play and a picnic then headed back when it was all set up. As we walked towards the library we saw a fire engine, a police car, a vintage ambulance and some emergency blood bikes set up outside and happily the place was swarming with lots of families all enjoying themselves and learning in the process. We went inside first and spoke to some of the organisations. Iris had a little sit down on a mini emergency blood bike and she coloured in an lovely picture of an ambulance. We learnt about car seat safety and found out more about fun events happening in the local area. Then we headed outside, sadly the fire engine had gone but Iris (and Daddy!) got to sit in the drivers seat of a police car and Iris even got to press the 'ne-nor' button (technical term!). She amazes me with her confidence. The siren was incredibly loud but she really wasn't bothered. She was too busy having fun. It makes me so happy that events like this are being held in libraries up and down the country. Our town has a bit of a negative reputation so it's lovely to see things like this happening and it's even lovelier to see families coing along to support the library and make use of the fabulous and usually free events that it has to offer. I know I go on about the library a lot but it's a life line when your so socially anxious that you can't attend traditional play groups. We had a lovely day making use of our local facilities and as you can see Iris had a ball!